Will Danville Schools duck accountability? Bluegrass Beacon: Locals know best how to spend education dollars Is Unbridled Learning becoming a bad ride for students? "Praise brings down the blessings of God"
Praise is very important in Heaven, because in Heaven everyone praises the Lord all the time. It’s part of being there. And when you praise the Lord, it takes you there in the spirit and you partake of that praiseful atmosphere. “Enter into His gates with thanksgiving, and into His courts with praise” (Psalm 100:4). Praise is one of the greatest powers of Heaven. When you praise the Lord, you open yourself to the healing balm of Heaven and it clears your mind, relieves stress, and refreshes your spirit. Strength and power lie in praise—not only power that lifts your spirit, but power to draw more power from the heavenly realm. Praise opens a channel to the heavenlies that allows the heavenly blessings to pour down. You don’t just praise your way to victory, you also praise down the blessings of God. Praise is a form of love. It’s you telling the Lord how much you love Him and how thankful you are for all He does for you. As you praise and love Him, He loves you in return and pours His blessings on you. So sing those praises, pray those praises, pour forth those praises to the Lord. The blessings come down as the praises go up! Psalm 100:4 - Enter into his gates with thanksgiving, and into his courts with praise: be thankful unto him, and bless his name. 1 Chron 16:25. - For great is the LORD, and greatly to be praised; He also is to be feared above all gods. Psalm 9:2 - I will be glad and exult in You; I will sing praise to Your name. Jesus, please help me to praise you for all your goodness. Thank you for always taking care of for your love. I recently had a conversation with two men who are walking through some challenging situations with their teenage daughters and dating. I have four little girls all under eight years old, so I have to admit that the conversation felt a bit ominous for me. As their dad, God has entrusted me with their protection. Every single day I thank God for this privilege and responsibility. At the same time, the reality is that we live in a fallen world, and no matter how good of a job that I do as a loving, protective father, my daughters will still experience some of level hurt in this life. This means I can’t protect them from everything, which makes it all the more important for me to train them to have a right view of their own hearts in relationship to Jesus. There’s a well-known verse in Proverbs that gets quoted often, especially to younger girls who are entering the age of dating and relationships. When this verse is quoted, there’s a tendency—particularly for those of us who, like myself, grew up in the church—to hear it as a Christian cliché. This verse is so familiar to many people that it sounds hollow. But all Scripture is breathed out by God and is profitable (2 Tim. 3.16), so we know that God gave us this verse for our good. When it comes to the Bible, we must be careful to not let familiarity cause complacency. Even if we’ve heard it a thousand times, every verse in the Bible is full of wisdom and power from the Holy Spirit. So how should all of us approach this verse in our own day-to-day lives? The Bible talks a lot about our hearts. In our culture, we primarily use “heart” to speak of emotions, but biblical writers used it in a much wider sense. Biblically speaking, the heart is the totality of who we are inside: our emotions, our intellect, our desires, and our will. The words we speak flow out of our hearts (Matt. 12:34). The choices we make flow out of our hearts. In salvation (John 1:12–13), Christ takes our dead heart of stone and gives us a new heart of flesh (Ezek. 36:26). Guarding our hearts in this context means paying careful attention to our thoughts, our emotions, our desires, and our choices. There are two ways we can get sidetracked when it comes to our application of this proverb. Here are two ditches not to fall into. The first error we can make is to guard our hearts in such a way that there is no possible way we can get hurt. We keep relationships shallow, people at arm’s length, and anyone from getting to know us at the heart level. The Bible is the most honest book ever written—it makes no claim that if we “guard our heart” we will avoid pain and heartache in this life (1 Peter 1:6–7). It is simply not God’s will for us to be isolated, walled off, and invulnerable. The second error is to simply ignore this practical wisdom. We can be cavalier, putting ourselves in a position to be hurt unnecessarily. We share information with people who aren’t trustworthy (Prov. 11:13). We invest ourselves in sinful romantic relationships. We don’t listen to warnings from Christian brothers and sisters (Col. 1:28). We live in a fallen world and we have a very real enemy whose desire is to steal, kill and destroy (John 10:10). It is God’s will for us to be watchful, sober-minded, and on guard against the enemy’s schemes (1 Peter 5:8). There’s another verse in the Bible that speaks of our hearts being guarded—but not by us. Rather than leaving us to protect our hearts on our own strength, God has already provided that protection in Jesus. On the cross, Jesus made himself—and his heart—vulnerable to the worst kind of hurt and betrayal. His disciples ran away. His immediate family hung their heads in embarrassment. His critics mocked and gloated. Even his heavenly Father, the first person of the Trinity, turned his face and forsook his Son. Jesus did this so that hurting, sinful, broken men and women like us could receive the gift of salvation. In Christ, I can tell my daughters that they don’t need to wall up or “guard their hearts” in that selfish, self-protective sense. They also don’t have to foolishly expose their hearts to pain and devastation. They have an invitation from God to run to him, to pray, to ask him to come to their aid, to cry out when they’re hurting. In that place, they will find their heart’s ultimate protection in Jesus. And so will you and I. "It is not I that burn, but Christ that burneth in me"
Do you know the principle of the candle? It’s not really the wick that’s burning, it’s the wax. 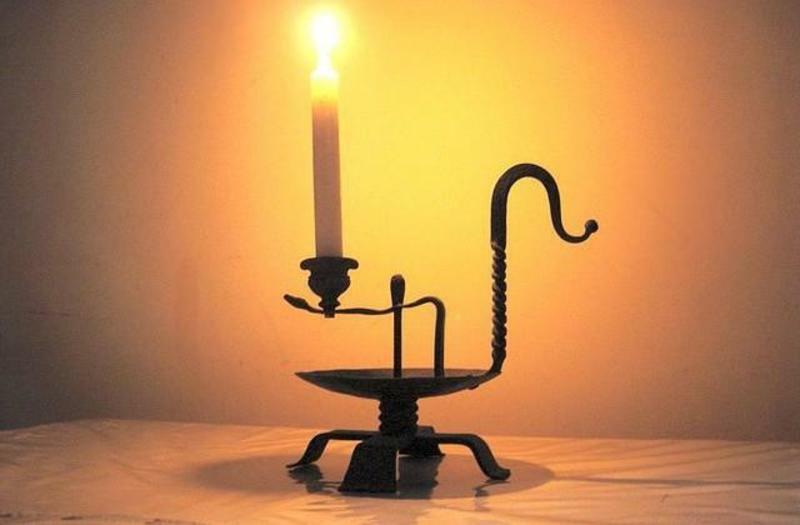 And with the oil lamp, the principle is the same: It must be the oil that burns & not the wick, for the wick without oil will be destroyed! Sometimes we try too hard, work too hard, trying to do everything ourselves when we need to let the Lord do the burning & just let him flow through us & let him burn! If we do the burning, we’re going to burn out fast. But if you let him burn you’ll last a long time! Let the Oil, the Holy Spirit, burn! That’s the whole secret of the wick! For the above article, I here some ideas. %title%. Really I like the site. May it fulfill God's purpose and glory.